Six models made to perfectly balance size, versatility, power and sound quality: all of this ensuring quality and finish, in the tradition of the Audison “Made in Italy”. Its design develops around the concept of total aluminium and the SRx confirms to be the “youngest”, coolest amplifier of the Audison brand. 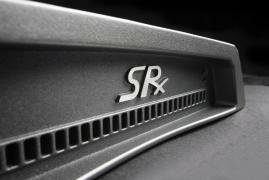 From the original line the new SRx inherits the extreme versatility, allowing to drive whatever speakers. More specifically, the SRx 1D can boast the “Amp Chain Mode” advanced feature, providing the ability of a “cascade” configuration of connection of many amplifiers granting the possibility of using only the controls of the first amplifier (the “master”) to drive the whole group.